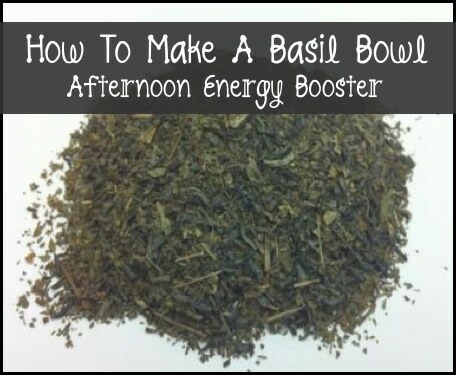 Timothy Ferriss, author of The 4-Hour Chef, says that an easy way to jump-start your energy in the afternoon is to stimulate your senses with a Basil Bowl. Pour holy basil into a bowl of steaming-hot water and inhale. It’s so easy and it smells so good! You can find organic holy basil at most health food stores. Impressed with this recipe from Timothy Ferriss? Or curious about some of his others? Check out his book book The 4-Hour Chef. It’s packed full of all kinds of innovative and educational advice, not to mention creative, nutritious, and down-right delicious recipes.